Frozen yogurt has got to be one of the biggest trends in the past couple of years. While I like frozen yogurt, I have found this local Greek yogurt shop, where typically you can customize your cup. Go Greek flies in their yogurt from Greece and has a frozen and fresh option. They have four flavors of frozen yogurt, original, honey, chocolate, and a rotating new flavor. They also have options of fat content for the fresh yogurt. 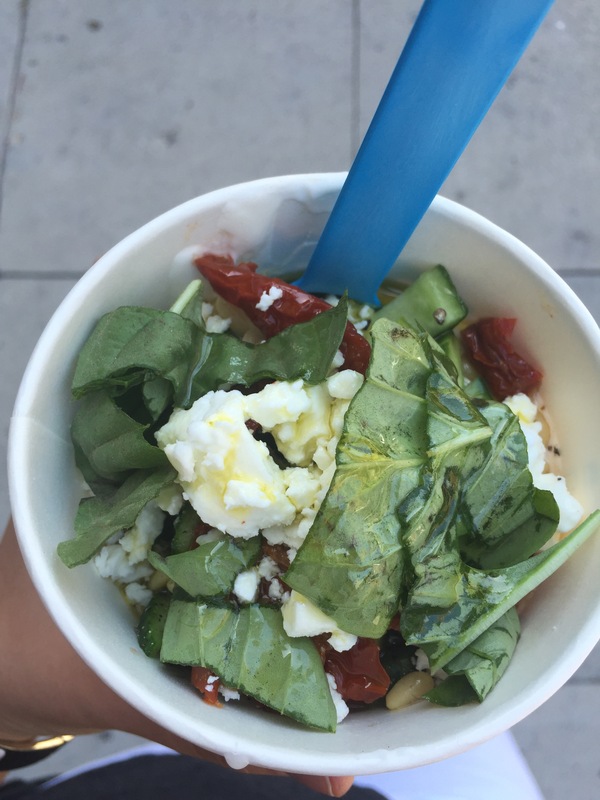 Go Greek has fresh toppings and healthy choices to top your creation. I love this place and find my self at their shop weekly. I can’t wait to try all of their new creations! 0% Fat Yogurt with sundried tomatoes, basil, feta cheese, pine nuts, olive oil, and cucumbers!